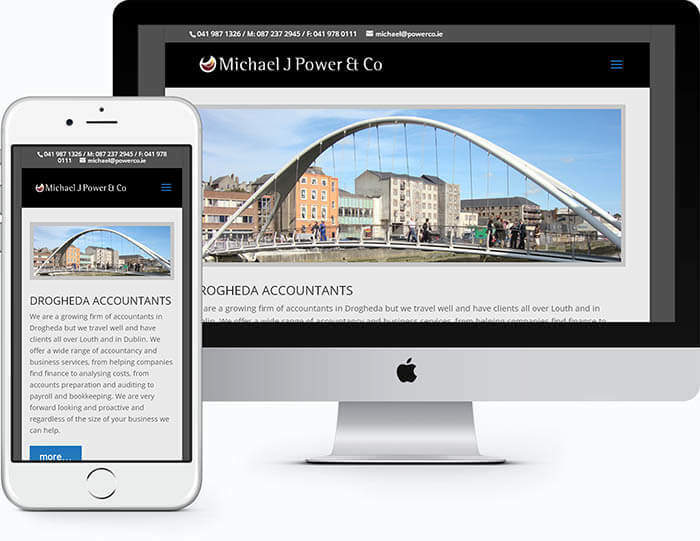 Michael J Power & Co. is a Drogheda based accountancy practice that has a customer base extending from Dublin to Louth. Michael wanted a professional looking website design to outline the services provided by the firm. Also he wanted the web site to feature on Google when someone searched for Drogheda accountants.